Recently I seem to have decided that I deserve to hit the 'order' button a few too many times than I probably should have! I've mainly been treating myself to a new Autumn wardrobe over the past few weeks but for the first time in a while there has been a few beauty products that have caught my eye as well. I fell a little bit out of love with makeup for a while and went clothes crazy but now I'm definitely back to wanting to try out the latest lipstick. 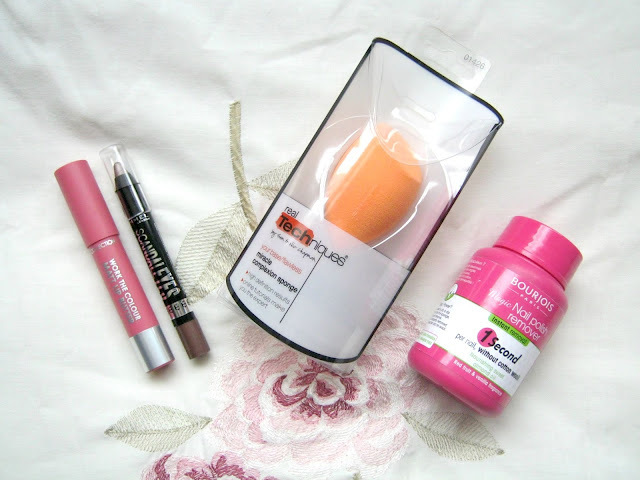 I didn't really fancy doing a big beauty haul as I'm probably going to end up reviewing most of the products eventually anyway so instead I thought I'd just share a few of the things that I've bought recently from Superdrug and ASOS. I don't often browse the beauty section on ASOS but when I made one of my most recent orders whilst the sale was in full swing I thought it couldn't do any harm to have a little look! I am most definitely late to the party when it comes to trying out the Bourjois Magic Nail Polish Remover but better late than never, right? I'm not sure why it has taken me this long to try it though because I am always up for making the process of removing nail polish easier, it really is up there with some of the most boring things to do. I haven't tried this out yet but I'm sure once I have there will be a review up on here for you all! 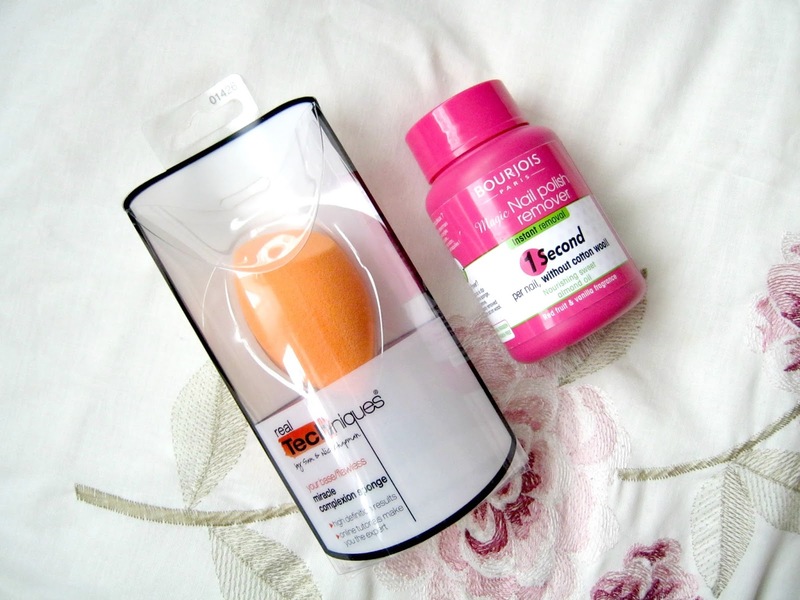 Switching over to Superdrug now where I spotted something that has been on my wishlist for a while but I'd completely forgotten about it! Makeup sponges are everywhere at the moment and a new brand seems to be coming out with one everyday so I thought it was about time I got my hands on the Real Techniques one. The Miracle Complexion Sponge has been talked about a lot, not everything I've heard has been good but I'm looking forward to giving it a go myself to find out whether I'll be switching to a sponge or sticking with my brushes! One kind of product that I do know I love are lip crayons, if you've been a long time reader of my blog then you'll know that they are my go-to product and I don't often stray from them. You can then imagine how excited I was to find out that of my favourite brands, Collection, had brought out a new range of their Work The Colour Lip Butters, this time in a matte version! I only picked up one this time around so I could try them out and I went for one of the most wearable shades, Marshmallow Pink. I've only tried it once so I can't really say much about it other than so far I'm pretty impressed, I'll definitely be reviewing it within the next couple of weeks. Finally back to ASOS where I picked up a bit of a random product, I hadn't seen any reviews of it recently nor thought about it at all but for some reason I was drawn in! 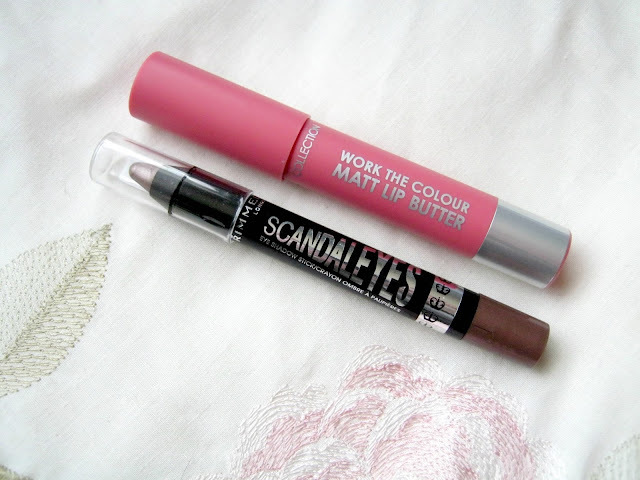 I'm talking about the Rimmel ScandalEyes Eye Shadow Stick, this one being in the shade Bluffing. When it comes to eyeshadow I never really do anything fancy so I'm always looking for quick and easy products to use, when I came across this I imagined it to be just that, quick and easy. I'm yet to give it a go but this particular shade is a gorgeous colour and I think it will be perfect for Autumn. With so many new products coming out at the moment it is hard to resist treating yourself, I know I've already got a few more things on my wishlist! I'd love to know what you've got your eye on at the moment, tell me in the comments! The RT sponge is amazing, I love it! I have 3 RT sponges haha, I'm so obsessed with them and means I always have a clean one available!